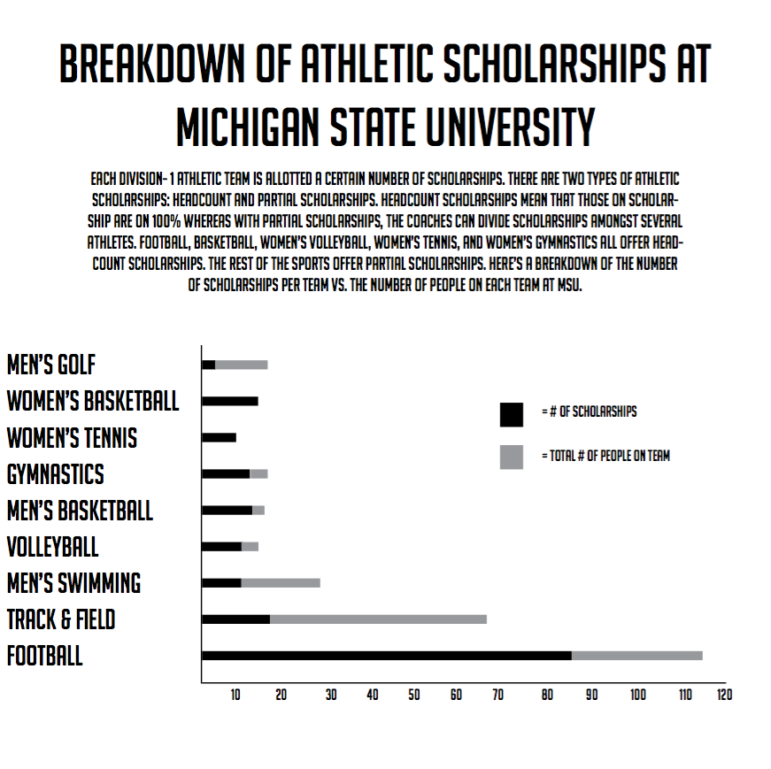 Athletes on scholarship have their tuition, room and board, and more paid for. But, what happens with walk-on athletes? Walk-ons pay for their own tuition through non-athletic scholarships, grants and student loans. However, they often dedicate at least 20 hours per week to their sport. Michigan State University redshirt junior linebacker Shane Jones of the Spartan Newsroom, who came to the university on an athletic scholarship, talks with junior linebacker Sean Harrington, who began as a walk-on on the team and earned a scholarship. Shane is a journalism major with a concentration in sports reporting. His journalistic interests include sports broadcasting and producing and he hopes to one day be an NFL analyst for ESPN. The University of Georgia, North Carolina, Southern California, Alabama and Auburn: All Division I programs sanctioned by the NCAA because athletes accepted payments and gifts under the table. According to the NCAA rules, student-athletes cannot be paid for their athletic skills. What brought us here? Are we moving forward as a society? Who are the people leading movements for social change? The 2016 presidential election exposed a variety of challenges facing America. In this special series, the Spartan Newsroom special projects team takes an in-depth look at the changing American social landscape.